The Lennerockers had been making music together since 1984. When the band announced their split in spring 2016, their fans were, naturally, extremely disappointed. Now, two of The Lennerockers' founding members, Michael "Ele" Koch und Stefan "Teddy" Koch, have decided not to hang up their music hats just yet. The two musicians have music in their genes, and not bearing to leave it behind them, have now founded the LenneBrothers Band. As the name LenneBrothers Band obviously suggests, the two are brothers, who will continue to take to the stage together. Joining them will be Andreas Kaessens on drums and Claus Coxx on the slap bass, both of whom regularly appeared with The Lennerockers. The LenneBrothers Band's music will reflect the mix of rock 'n' roll, country, and rockabilly that previously proved a hit for the Lennerockers. In spring 2017, the LenneBrothers Band will also be playing live on tour again. A number of concerts are already on the tour schedule for Germany, Austria, Switzerland, the Netherlands, and Great Britain. The tour will kick off on March 18, 2017 with the big "Shake Rattle and Roll Weekender" in Great Yarmouth, Great Britain. 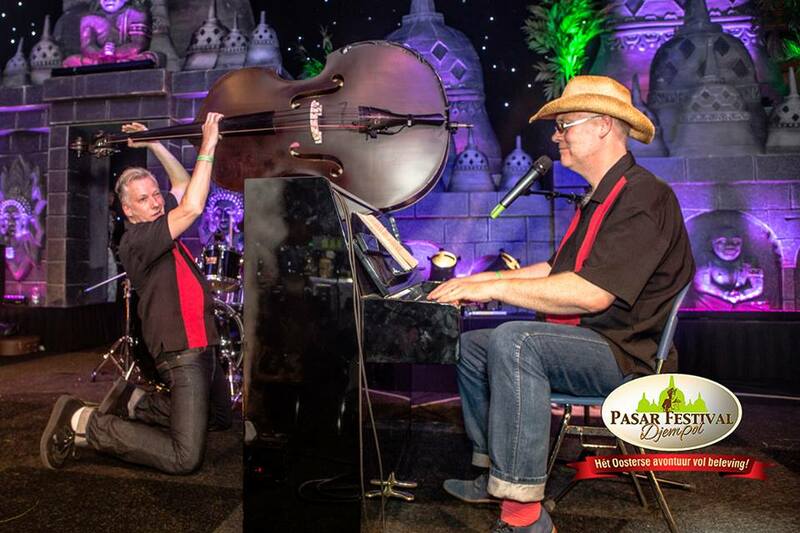 The LenneBrothers Band is rockabilly band from Hagen, Germany. They are a real "live on stage band" and watching them makes you jump and jive. They produce a very distinguished sound, a sound the Lennerockers themselves call "Western Rockabilly". Not country, mind you, but the use of instruments that are not normally used in a rockabilly band, like a banjo, dobro and mandolin, gives their kind of rockabilly a nice twist. And a fast one for that matter, because most of their songs are uptempo rockabilly tracks with a great slapping bass setting the pace. You won't hear many cover-songs when you visit one of their gigs, or listen to one of their superb albums. Michael and Stefan Koch write almost all of their material themselves and they do a great job. Many great songs of their hands are sure gonna be rockabilly classics, like "Free As Birds", "Keep Cool" and "Women and booze and rock an' roll". Especially their first two albums sound as if they have been cut "live to two-track". If you happen to find one in your local recordstore; don't hesitate, git it! Their third album "Rebels of Nowadays" is memorable too, although it sounds like it has been recorded and mixed with much more modern techniques. All Lennerockers' recordings were taped at the TBS Record Studio in Schwerte (Germany). The band intends to take a break at the start of 2017, to write songs for a new studio album. The album is scheduled to be launched by AGR Television Records in physical and digital form at the end of May 2017. The debut album is as yet untitled. For the LenneBrothers Band, there was no question about signing a record deal with AGR Television Records, since the two had already worked together successfully for several years. Lead singer Michael "Ele" Koch said of the new contract: "We're in very good hands with AGR Television Records. We enjoy artistic freedom and are supported creatively in realizing and spreading our vision of music. That's why we’ve signed a five-year deal with an experienced team and huge potential for the future!"